Truth: this competition can be tough to track. There are now 21 teams working on amazing things around the world -- prepping for test launches, building rovers, experimenting with control systems, building communications architectures, presenting at major conferences, and acquiring new sponsors. This is a dynamic competition. How to keep up? 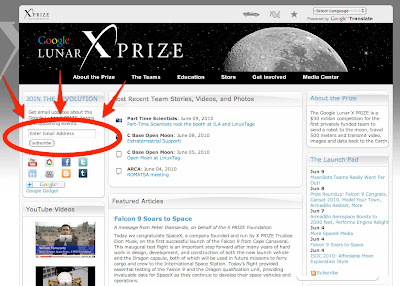 This week, we are pleased to announce a new way to help you keep in touch with the teams and the PRIZE -- a weekly news brief. We've kept it simple and scannable, to keep you up to speed. Want to sign up? It's easy. 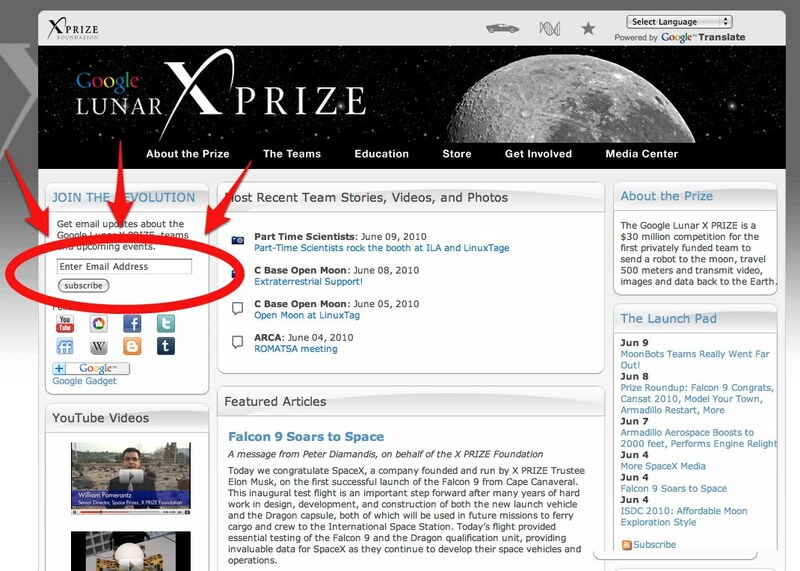 Just visit www.googlelunarxprize.org, and enter your email address in the upper left-hand column. All done! For those that are receiving the news brief already, let us know what you think.